This large, multi-level playground includes an indoor gym, two sand play areas with climbing structures, two ball fields, and game courts. Tiny Tots and Kids Gym are offered for children 1-to-4 yrs, Mon-Thu. Call for schedule. 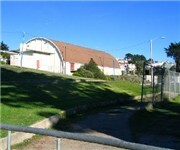 How Would You Rate Ocean View Park and Recreation Center?